A rustic country pine trunk or tool chest was hand crafted about 1890 by a carpenter to take his tools to a building site, signed "W. Meacher." This picturesque primitive furniture would make an interesting coffee table. The finish is in very good condition, preserving old worn charcoal colored paint and loads of antique character - losses, stains and mars, see photos. Inside are sliding tool trays and a covered compartment. 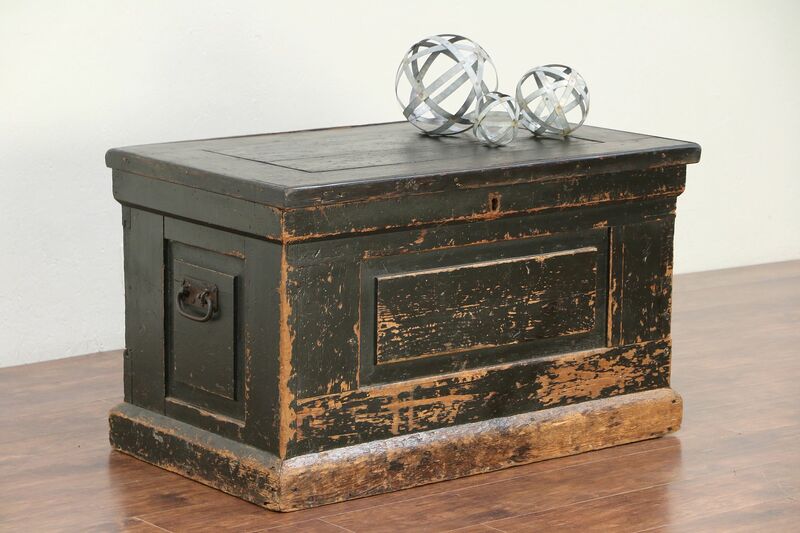 This American made chest was assembled with square cut nails. Size is 39" long, 23" wide and 23" tall.